So it has been two weeks since my last post and honestly I don’t know where the time has gone. Without school I am telling you I have no reason to sit in front of the computer. Tonight I made a little time as Mom is cleaning out the photos on here and wanted me to check out some that she didn’t know if I wanted to keep or deleted. Anyway, there has been a lot of nothing going on around here the last two weeks. 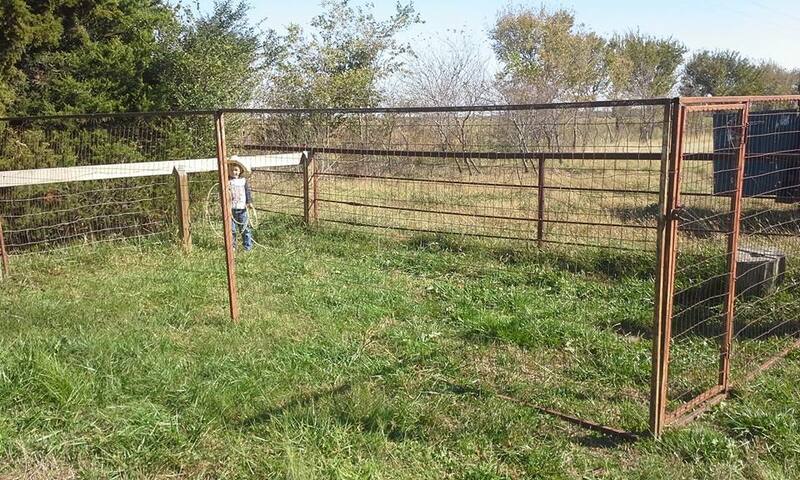 Beside daily roping and riding, Mom wanted to build a pasture shed and after some thought we came up with a different plan. It is a plan we have used in the past and the only reason that we can remember that we removed the pen was that we needed the parts for other things. Like the fence for the pasture between the sheep and cattle. Anyway, I convinced Mom to put it back in where we had it before. 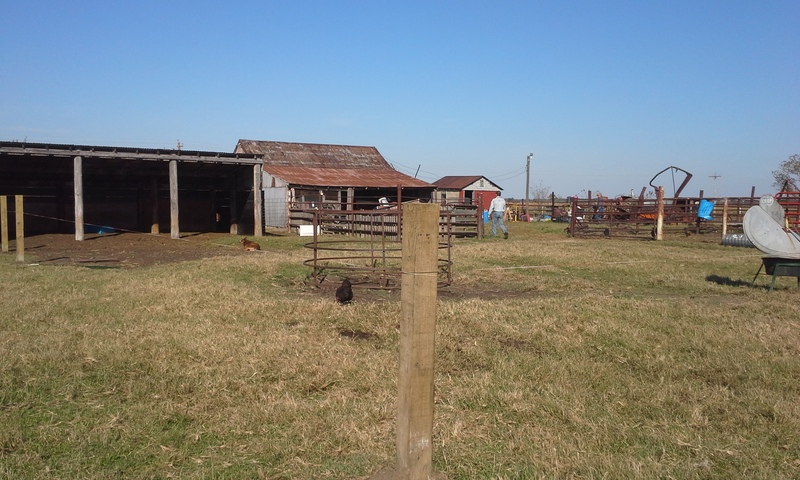 I helped moved the feeder and set the wooden posts does that count?? And that isn’t the only thing we have been working on … We put up a small pen in the corner of the yard to use for Moose because he keeps escaping the yard. However, It can be used for any of the animals really. 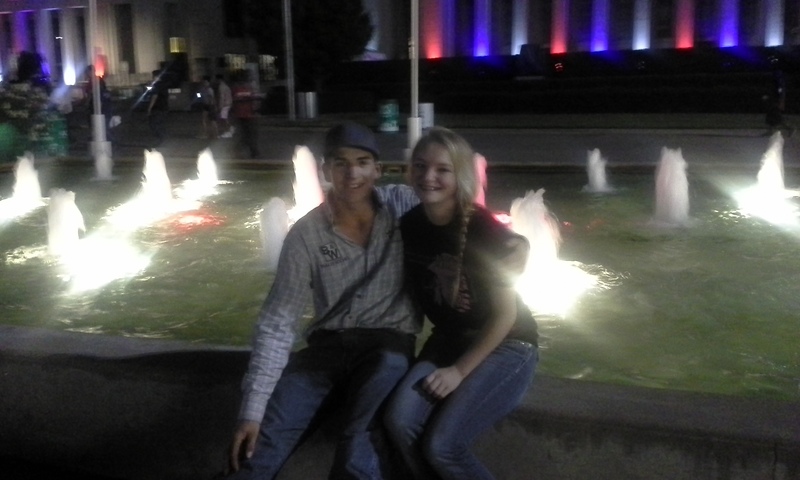 Then on the other hand we did have an adventure when I was trying to get the pair of boots I won in Dallas. I went shopping for them just to not find any in my size and have the truck break down … Again … this time it was the fuel pump. Thanks to a friend the truck was up and running that night and I never even missed a roping or rodeo. The last thing of interest is the naming convention for 2017. We have a list started that was part of a drawing on youtube but now is your chance to be heard before I make up the poll and we vote. So far we have yarn and yarn companies, prince and princess, Capitals of State, Knights and their ladies, and Anything Christmas Story. So if you have another idea to add to the Vote let me know in the comments here or on Facebook and I will add them to the mix!! So we got home yesterday and started breeding season back up but things went from normal to whoa in a hurry when Mom noticed Big Momma off by herself. We had just taken Knight and Rammie to the Red Shed Pen and was going back for the billy when Mom saw her hanging out under the shed while all the others on the pasture were out grazing. When we checked her out we found that she had Fly Strike. So how did this happen? Well, we can thank the weather for this one. You see it is nice and warm during the day but at night it is cold and add in the dampness of a heavy morning dew and the rain we have been getting and well, you have the perfect climate for Fly Strike. What that means is that a fly was trying to get warm and found it’s way down into Big Momma’s fleece where it laid a nest of eggs. 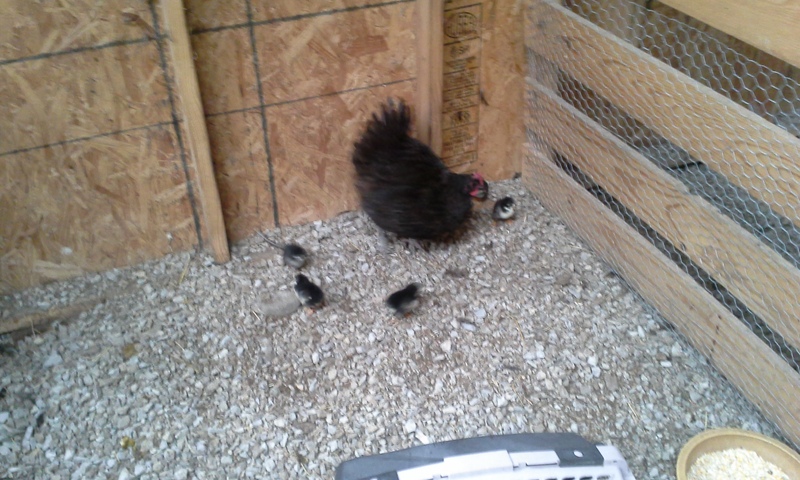 The wet weather and her body heat kept the eggs warm and steamy causing them to hatch. When the larva hatched they then proceeded to eat everything in site. Everything being Big Momma’s flesh. Yesterday we looked her over and thought there was only found one spot on her back. 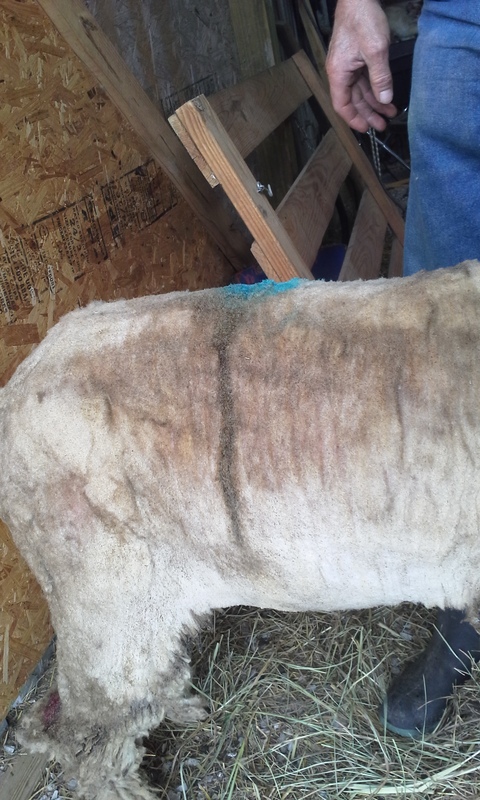 So that spot was sheared and cleaned up. Then this morning she should have been doing better but she wasn’t. So we Went to work on her again. Checking every inch of her for any sign of anything. What we found was more fly strike. 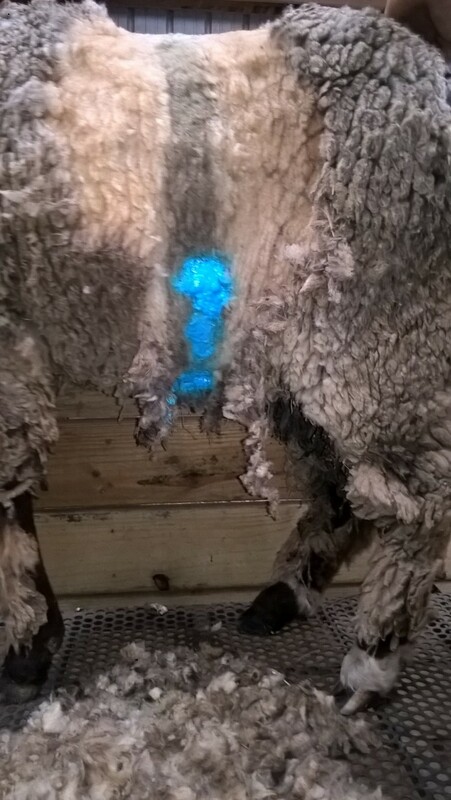 She was sheared entirely today and we found this. 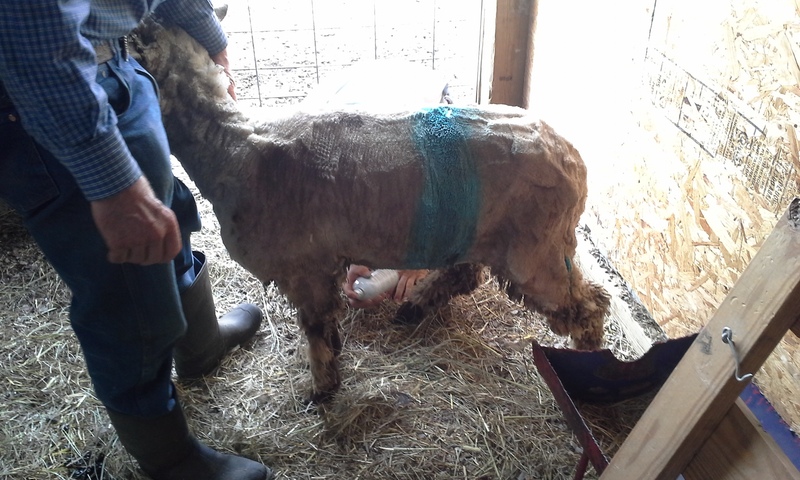 Once we got her sheared completely we could plainly see the drip marks from where she had been standing under a drip off of something like a barn or shed. This created a band of Fly Strike around her belly. 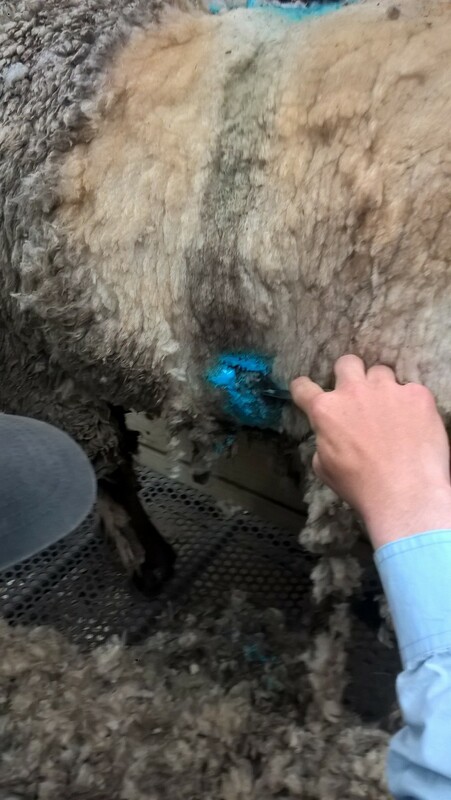 After shearing her, we Screw Worm sprayed the entire band. We are still keeping her on the watch list for the next few days. 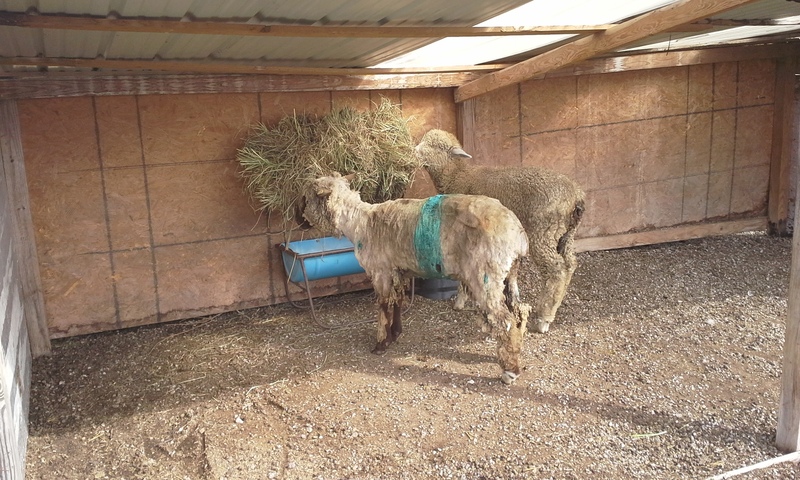 After we got her sheared and cleaned up Big Momma ate a little hay and drank a bit of water on her own. That is a good thing. Friday we were up and at it early with my competition starting at 9am. 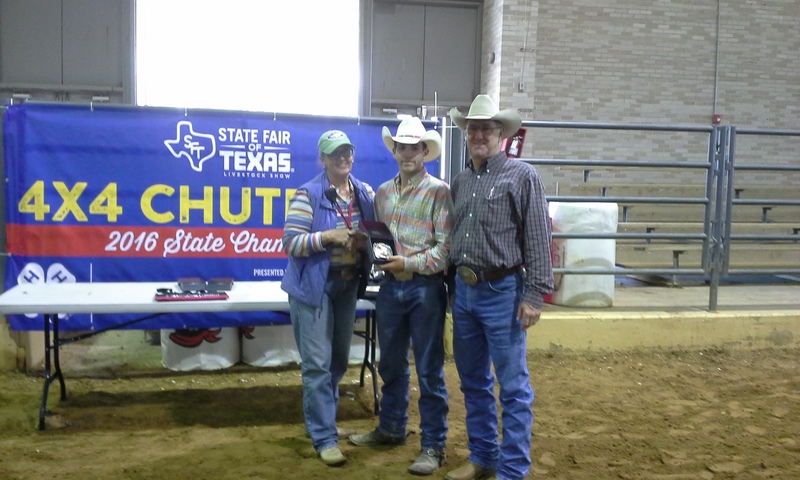 I didn’t do great but I did just fine in the Calf Roping event as I brought home the title of Champion in that event. 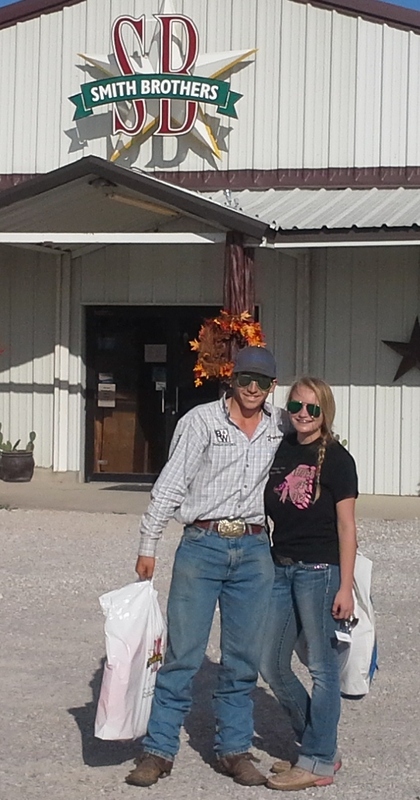 After that competition we all loaded up and headed to the next Roping. 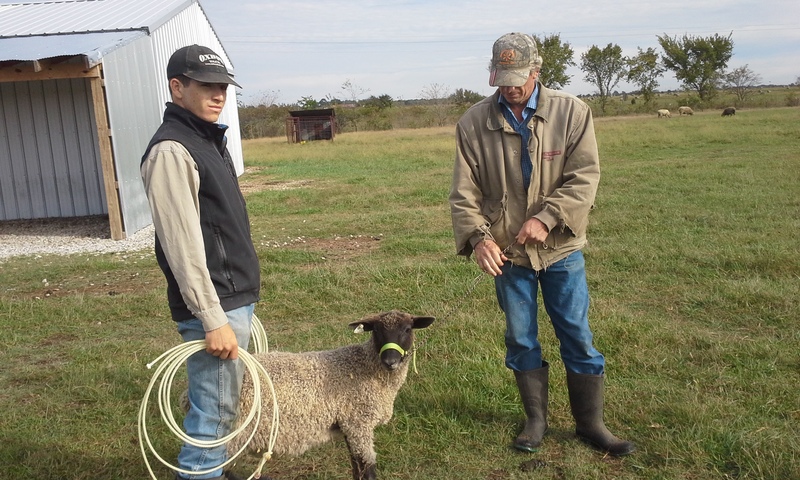 We drove about 3 hours north back into Oklahoma where I was entered up in a big roping. I did okay and won my age bracket but didn’t get any further in the competition. From there we headed north and a bit closer to home where I took part in my Buckle series roping. Again I did good but not Great. I won the second round but broke out on my first calf so there was no average money in it for me. 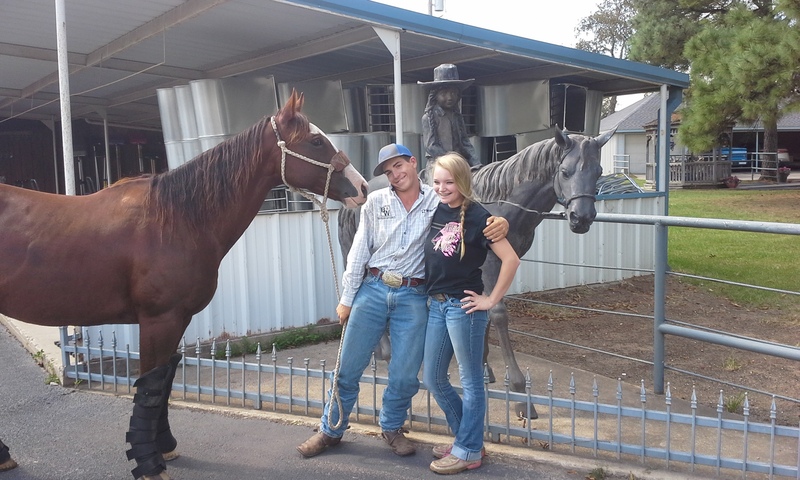 My Driver was picked up by her parents at this roping. At this point in the game my weekend changed from it’s plans. 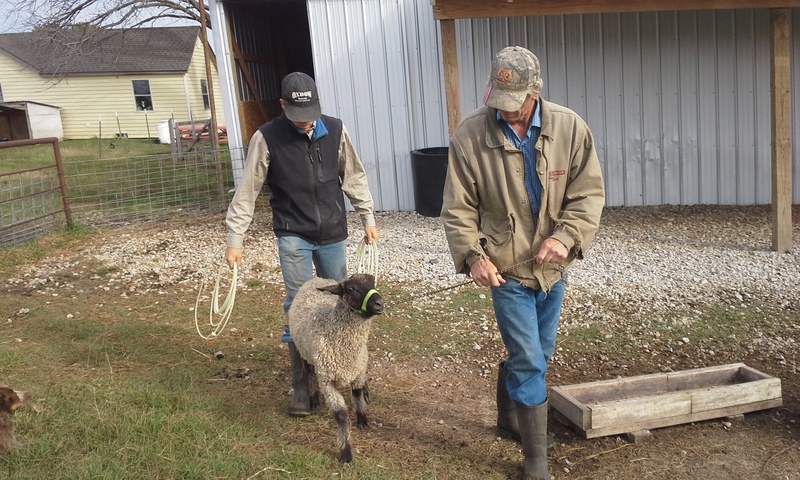 My saddle roping was postponed due to rain so Mom called and arranged to pick up her new Ram. He is a Gotland. 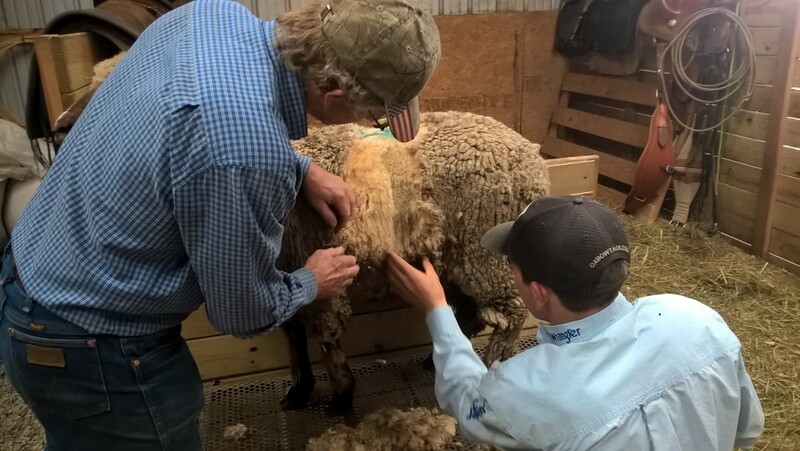 And he had great fleece if you ask her. Okay and me too but don’t tell her that. After that we headed home. 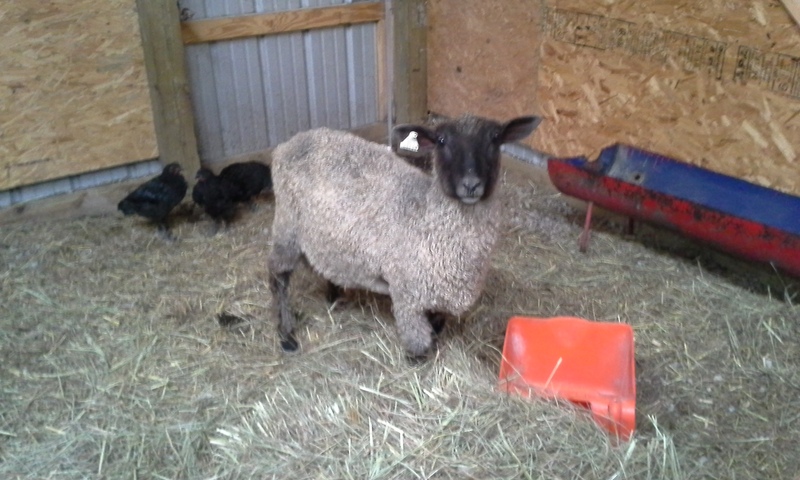 I put the horse up and got the ram settled into the barn for the night. 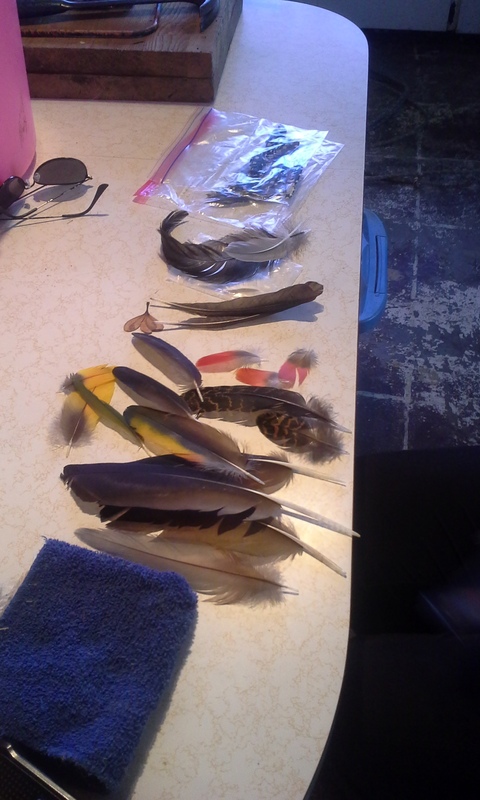 This morning Mom had a few things she wanted to get done. 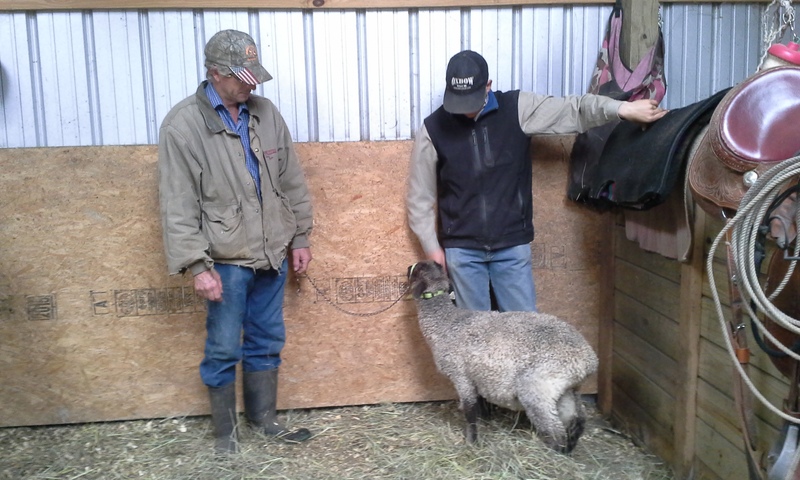 First up was get breeding back underway and get her ram into the man pen so he could get to know the two friendly merinos before the other two mean rams were introduced two months from now. 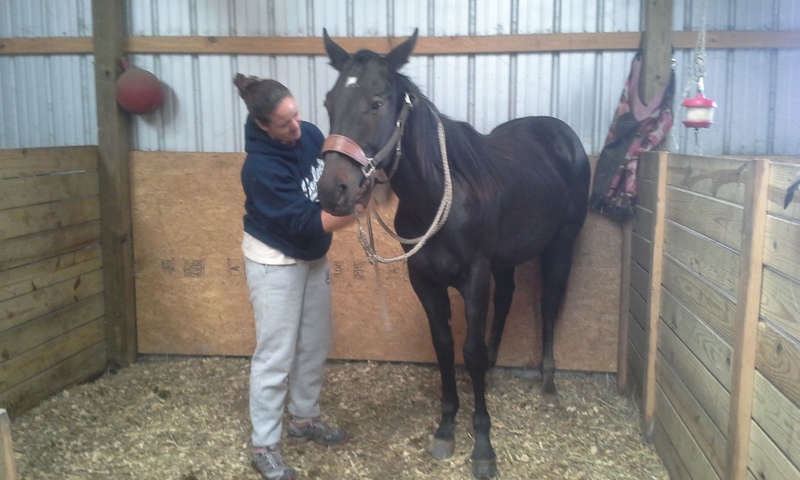 The only catch is she wants him halter broke so we worked with him today that way when we moved him. 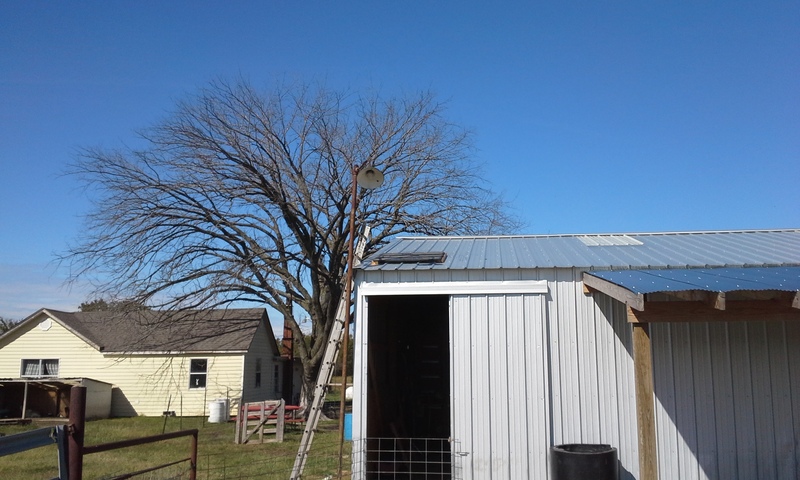 After we got the new chicks put up I worked to get the solar panels up on the barn. 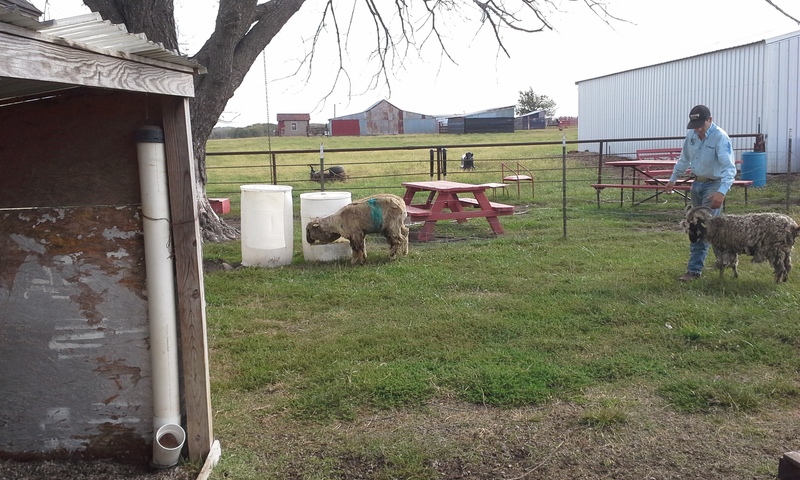 About half way through putting up the panels we had to stop and go fix fence … Burl the Shetland Ram was being a fool and tried to get at the other rams that were not being used. 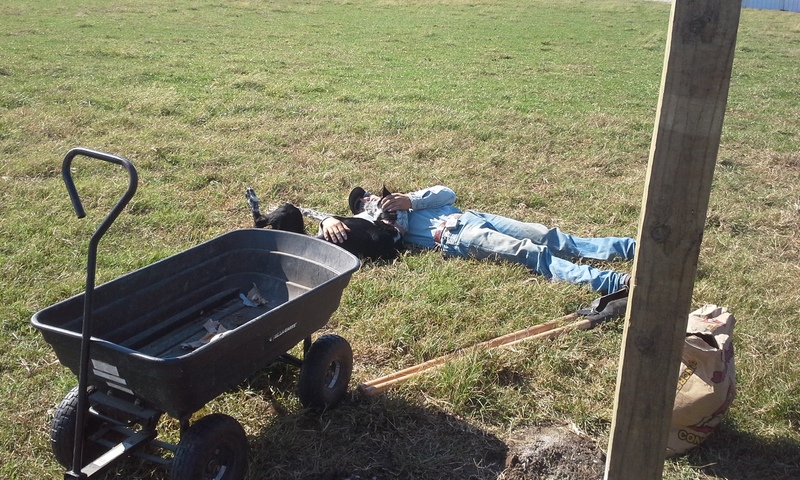 He tore up the fence pretty good but Dad and I fixed it up and then got the solar panels done before heading to get in a bit of Roping. So for the last few days I have done nothing that hasn’t been with one goal in mind. That goal is my Dallas trip. I practice for Dallas. I pack for Dallas. I did the running with Mom for Dallas. With this being my last time for this competition I am living for Dallas and a few extra stops on the way. Dad serviced the truck with an oil change and two coil pack replacements along with topping off all the fluids and replacing the headlight we busted out last year when we hit a deer. Mom got the tag that was suppose to be gotten the end of September and I cleaned the truck inside and out. I even washed the windows and cleaned out the bed of the camper. Mom has been hard at work cooking for Dad so he won’t starve while we are gone as well as doing laundry and packing. I even went and got my hair cut! Yup I am ready! Not really. There is so much more planning for this trip then there ever has been before. Why, you ask??? Good Question. Well, this year not only do I have the Dallas 4X4 Chute out on Friday but then on Saturday I have a large breakaway roping in Checotah Oklahoma at 9am, a Buckles series at Sapulpa at 2pm and then finals at Nowata at 7pm where I am within points of winning a saddle! So yes, planning and timing are going to be everything this weekend. So here is the plan. I got an extra driver to help Mom out and she will be coming with us to Dallas. We will leave tomorrow (Thursday) and make two stops on the way down to Dallas. One at Smith Brothers that is kind of a tradition now and the second will be to Paul Taylor’s Tack shop. 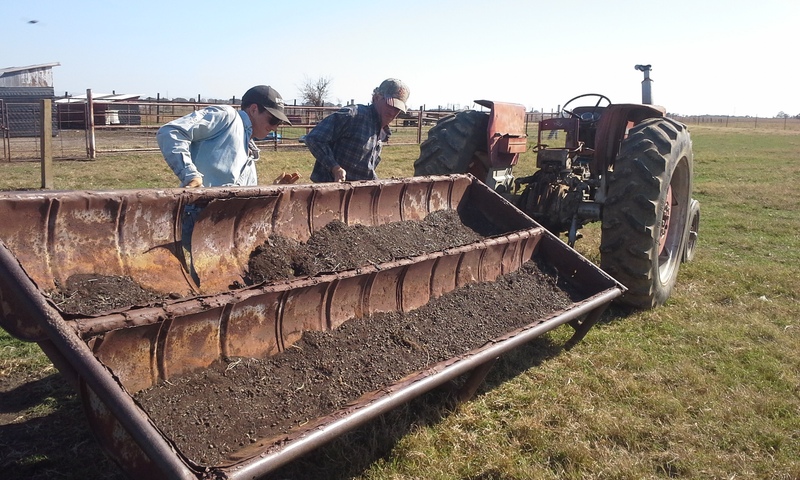 Both are placed we pick up things we need through the year tack wise and both places are very affordable. Not to mention you save shipping and handling and get in on some sales. We will get to Dallas about 4pm on Thursday. I take part in the competition on Friday. That is all normal enough. However, after I get done things change. We will pull out that night and Mom will get us as far as she can headed to Checotah before she gets tired. We don’t know what time we will get done Friday so we are winging it. Our back up driver will kick in when Mom gets tired and drive from where Mom pooped out to Checotah. This will happen somewhere along HWY 75 I think. We have a place for the horse and a hotel lined up so if it isn’t 3am or something we will be able to settle the horse and get some sleep ourselves. If it is late we will sleep in the truck until show time. 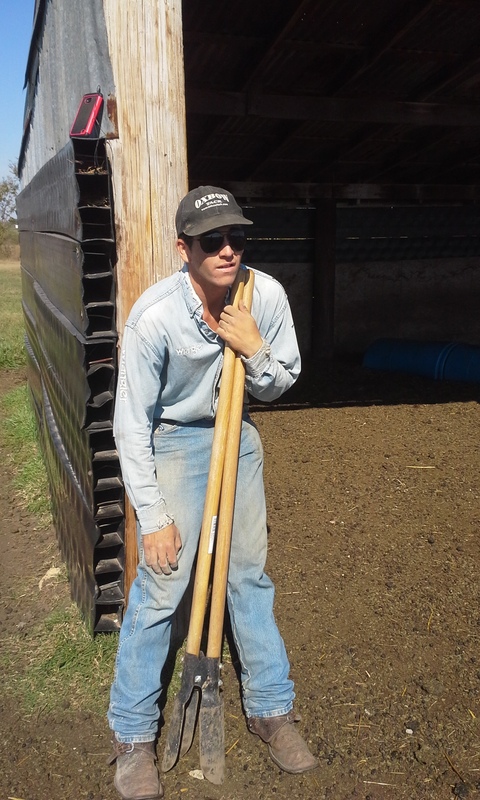 After the roping that starts at 9am, (if it gets done in time) I will move on to a roping in Sapulpa Oklahoma. If I don’t get done in time we will only stop there to drop off our extra driver. Either way we will be back on our own after that and I will move on to the Finals at Nowata. We plan on pulling in there by 8pm but really hope it is more like 7pm. From there Mom will return home in the car and Dad and I will finish out the Finals (they are only 10 minutes from the house) and then come home. So is it all worth it?? I say yes. I have a lot on the line this weekend. I just wish they hadn’t put them all on the same day. 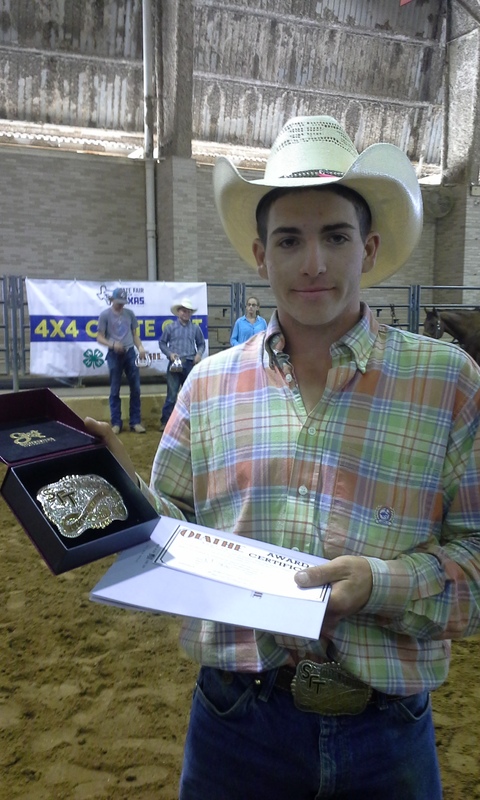 Dallas is the 4-H Finals and a saddle, 5 thousand dollars added money and a ton of tack and prizes are up for grabs. (It is also my last year to attend) Checotah is a 25 thousand dollar break away roping that is being put on by our neighbor’s son. 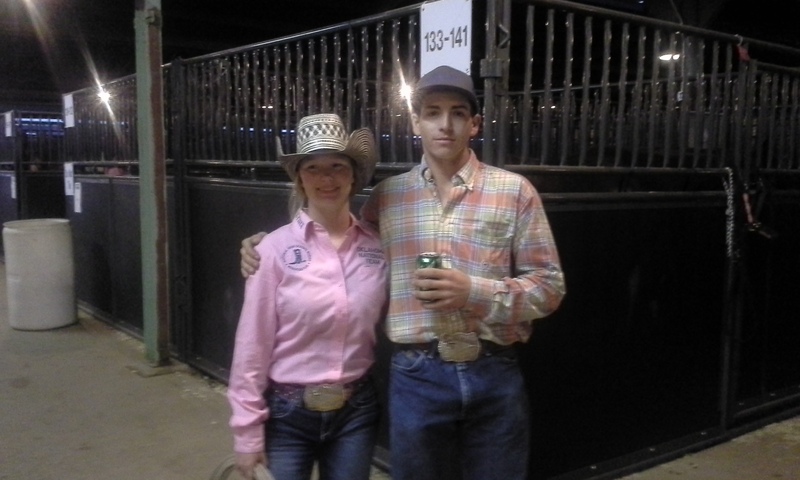 It is an eight round roping that will pay big if a guy can hold their own and stay in the top half of the bunch. Sapulpa is a buckles series that I have been attending for months now and I think I am doing well in, but if I have to miss one this weekend it will have to be this one. (I won’t be happy about it but I will have to do what I have to do) As for the last rodeo in Nowata it is the Finals for my saddle series. I am within just points of winning the saddle and I can’t slack off now or the other guy could come in and win it out from under me. 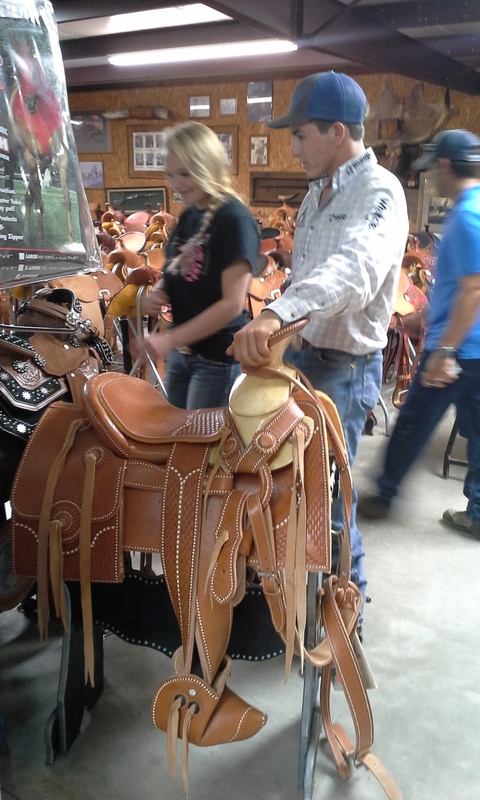 I am sure most of you know Saddles aren’t cheap so that is a lot on the line at that one as well. As of last month, the 2017 Rodeo year has already started and most of these rodeos are coming to an end so if I have done any good at all in a series I need to hang in there. As you can tell this really is my big end of the year paycheck. 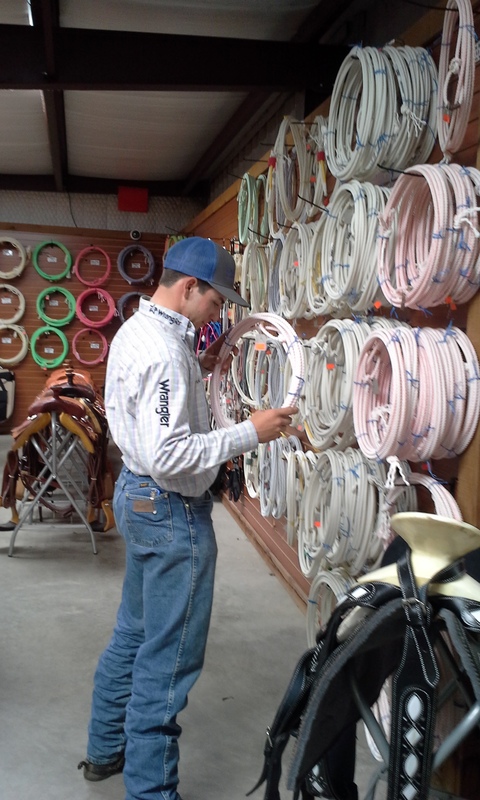 For me and my Rodeo, this time of year can only compare to Black Friday in retail …. LOL! 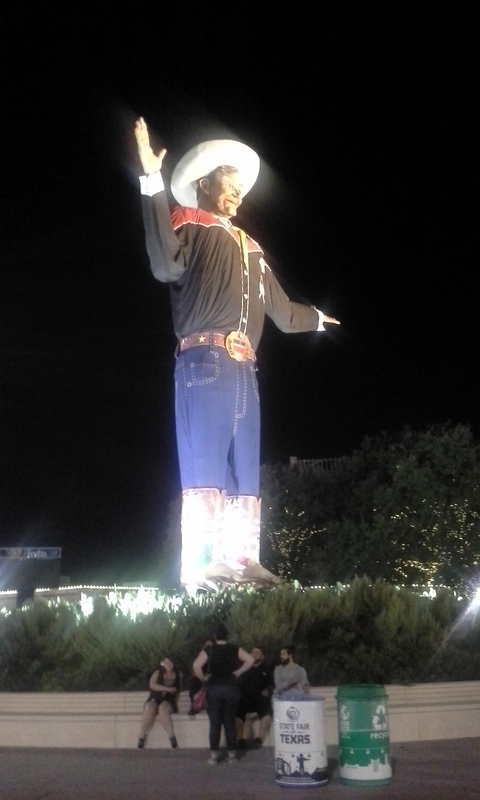 I will try to post some as we go as our hotel in Dallas does have WIFI but we plan on letting our extra driver take in the fair our one night there. After that we just don’t know … It will all be in the timing. This is Meghan and a great sport. 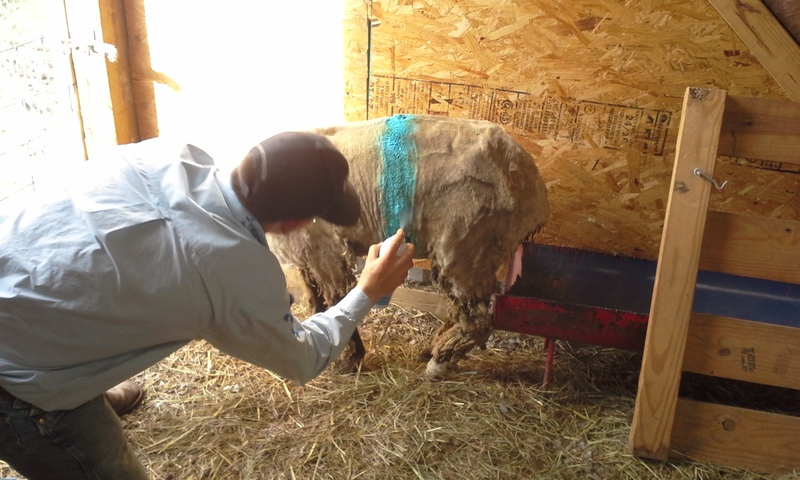 She knew she was our first WWoofer and didn’t seem to mind working out the kinks in our plan. The first day was quiet and Meghan even got to learn to milk a goat. Her Second day here Mom was a bit more organized and had a list of things to get done and Meghan jumped right in. 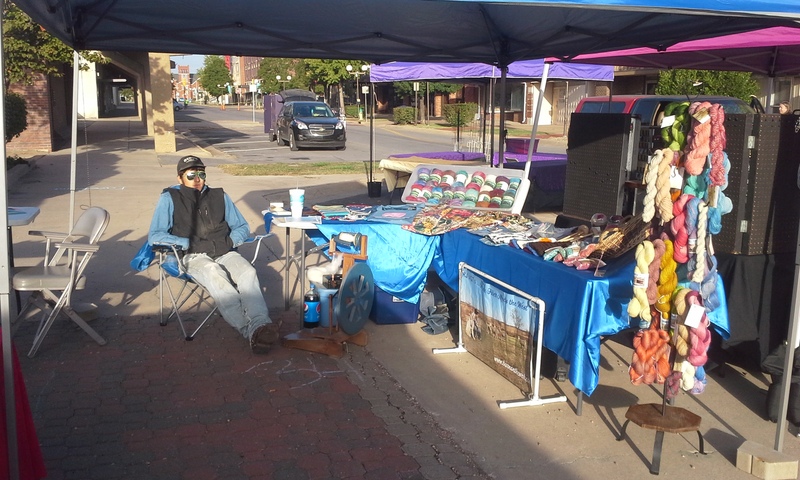 After we got everything done we headed to Coffeyville to set up the booth. 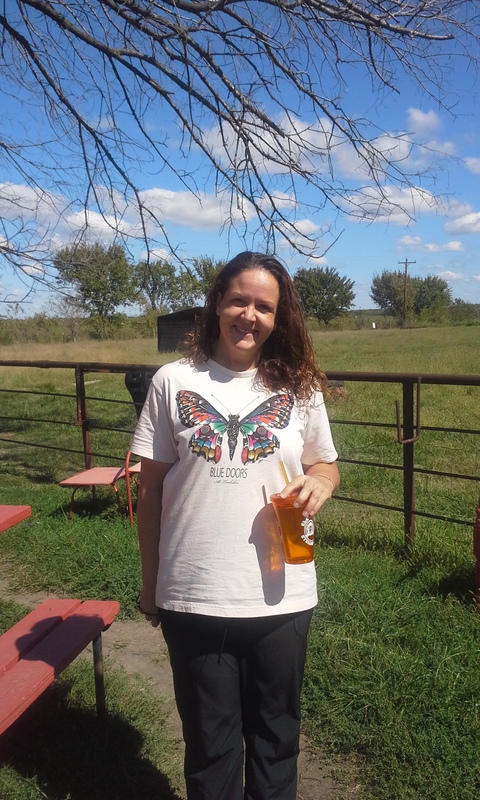 Meghan left us after helping us set up as she was headed to Kansas City for a Down Syndrome walk for a friend of her’s little girl. We made sure she had a bottle of water, a Rope cross to keep her safe and a small aloe plant with a rose rock to mark her trip here. After that Mom and I hung out at the booth and did manage to get one sale. 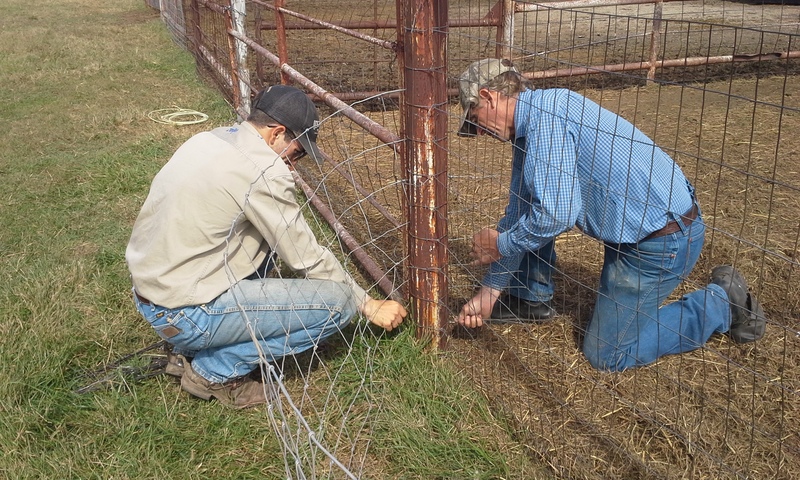 Saturday Dad and I went and helped set Mom up again before I left for my Rodeo. I did okay but I got beat. My time just wasn’t good enough to bring home a paycheck. Mom took pitty on me and had pizza waiting for dinner when Dad and I got home. 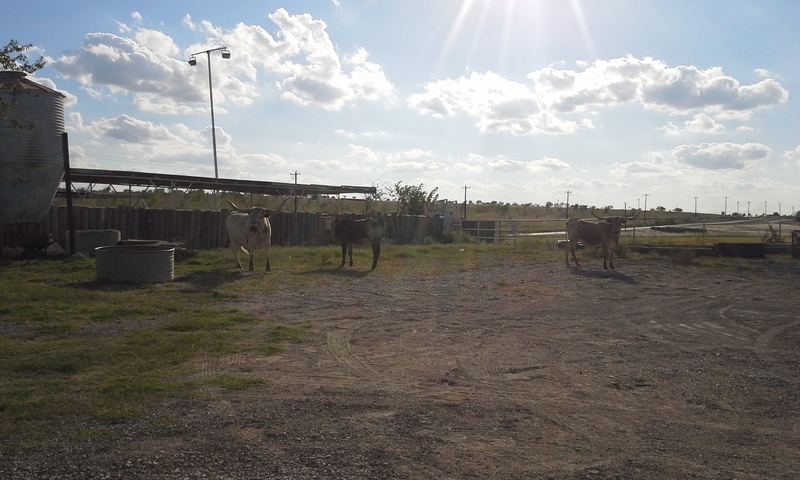 Today I am headed out to another roping where I hope to get a little something done.